I want to share one of my absolutely favorite recipes. 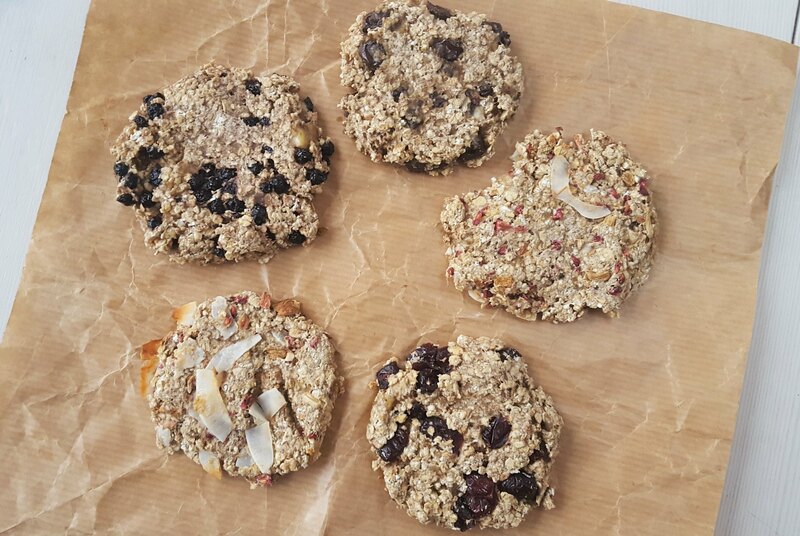 This recipe for banana-oat cookies is super easy to make and you only need those two ingredients; banana and oats. These cookies, if you can call them that, literally only takes 20 minutes to make. The great thing about them is that they are very healthy and filling so it is great snack in between the main meals. Each cookie has less than 100 calories so you can, with no problems, grab a couple of them. I got this recipe from a friend of mine and it instantly became a hit. I do a lot of traveling with my job and I always find it bit difficult to find both good and healthy food in airports and in cities you don’t know. Especially, if you are in a bit of a hurry it is, unfortunately, too easy to grab some food from fast food restaurants. After I discovered this recipe I always bring a box with 10 or more cookies. Then I eat a couple of them from time-to-time so that I don’t run out of energy. As said, it only takes about 20 minutes to make a batch of these cookies. 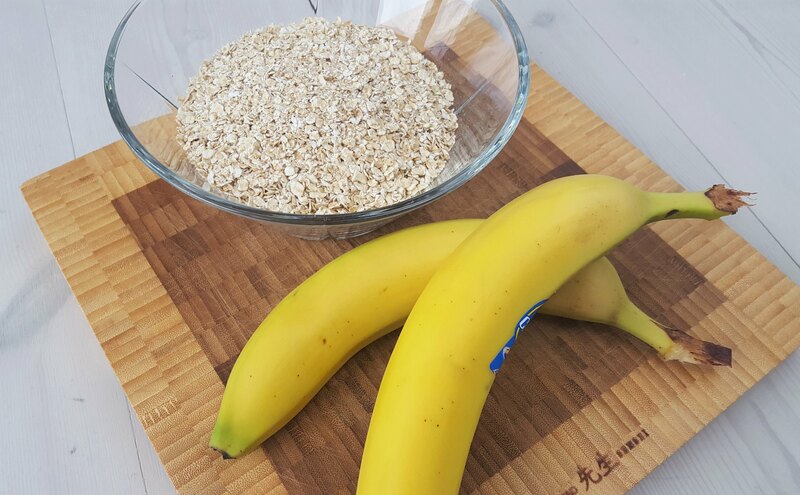 The basic recipe contains banana and oat. However, I always add all kinds of different extra stuff to make them extra delicious. I can recommend some of the followings below. However, I will encourage you to come up with your own: If you find a great ingredient, please let me know in the comments below. The instructions are super simple. 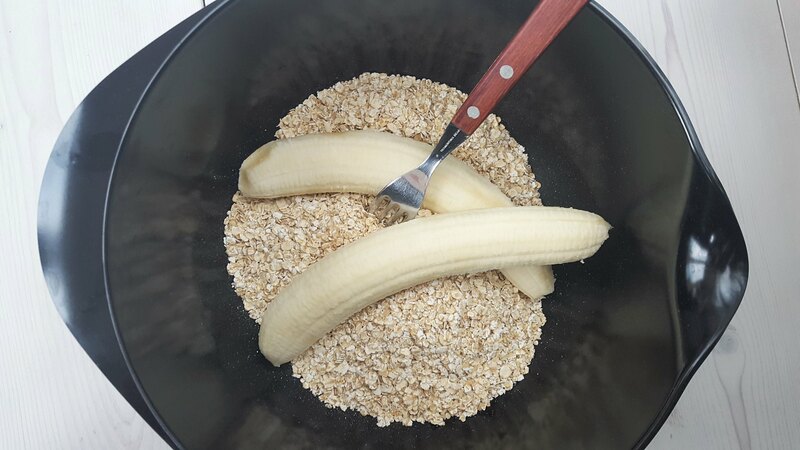 You simple just mix the banana and oats in a large bowl and add the different filling you like. 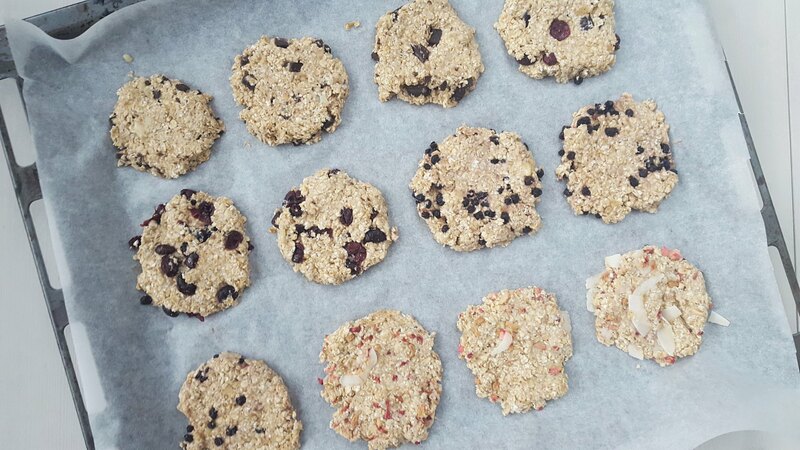 Using a table spoon; then you transfer small cookies onto a parchment paper covered oven sheet. Bake the cookies for about 10 minutes and then they are done. It is that easy. 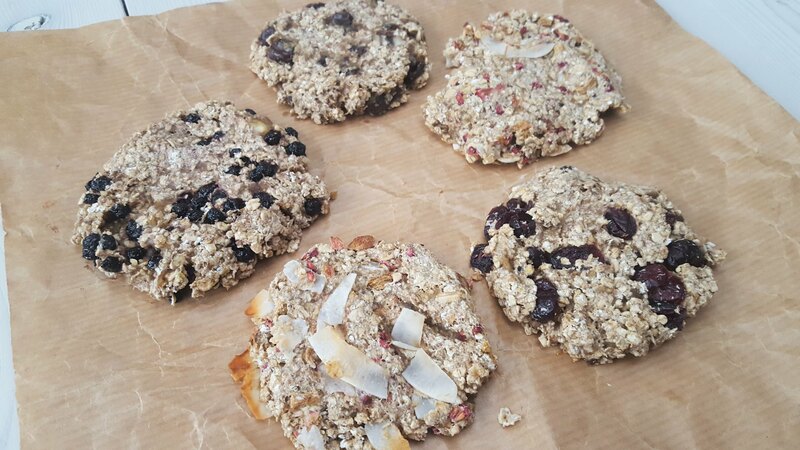 I am always on the look for great and simple recipes, like these banana-oat cookies, which I can bring on my business trips. If you have a great recipe you will share with me, I would love to hear from you in the comment section below. 1. 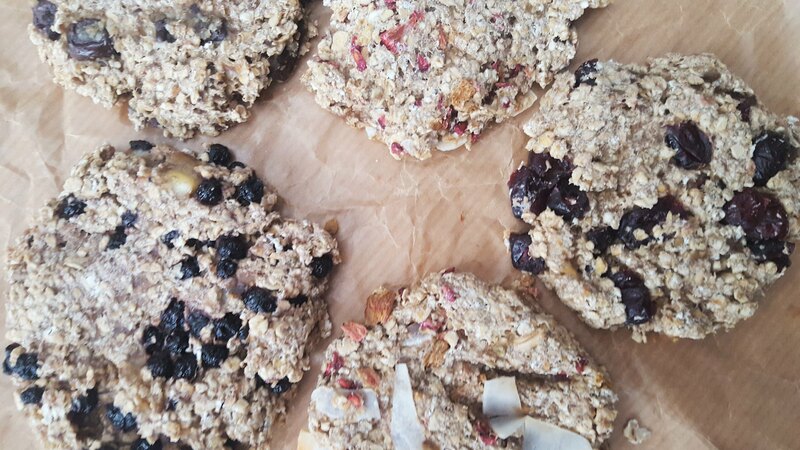 In a large bowl; use a fork to mix together banana and oats into a sticky dough. 2. 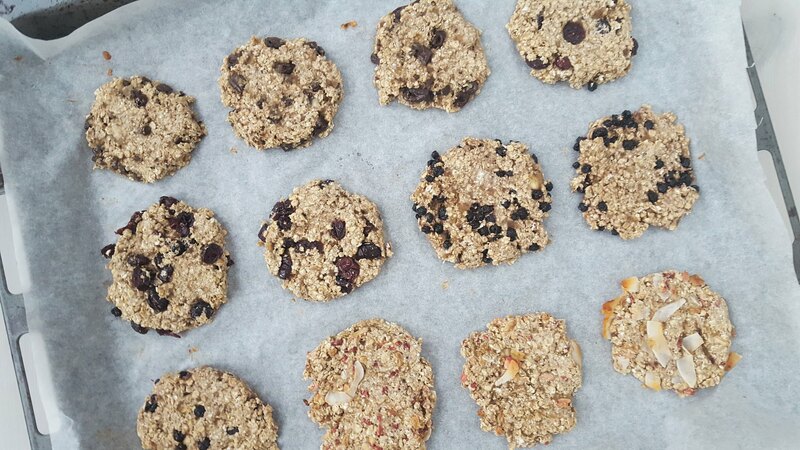 Add all kinds of different fillings like chocolate chips, chopped almonds, coconut flakes and so on. 3. 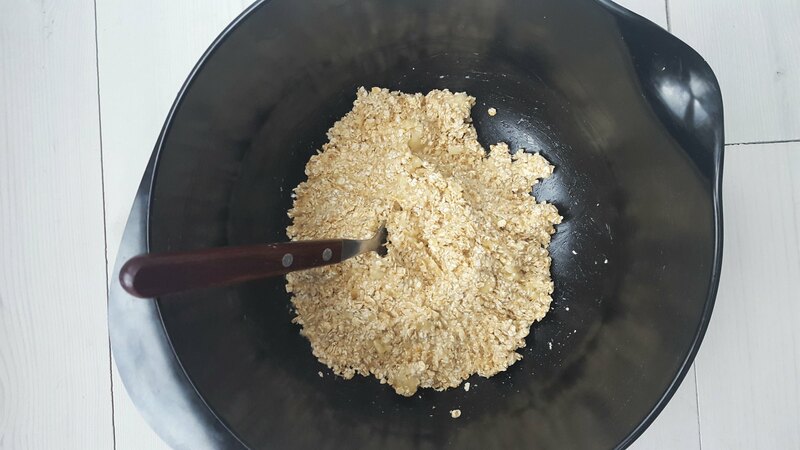 Using a table spoon to make small banana-oat cookie. Place them on a parchment paper covered baking sheet. 4. Bake the cookies for about 8-12 minutes at 175 C (350 F). Tip: Keep the cookies in a closed container for some days. You can also store them in your freezer for later. I made this tonight. 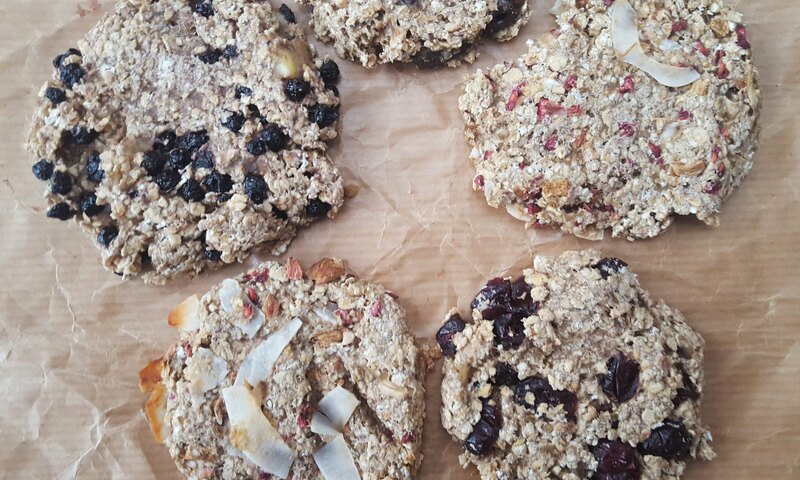 This is the best oatmeal cookies I’ve ever have – simple, easy, and healthy and flexible. 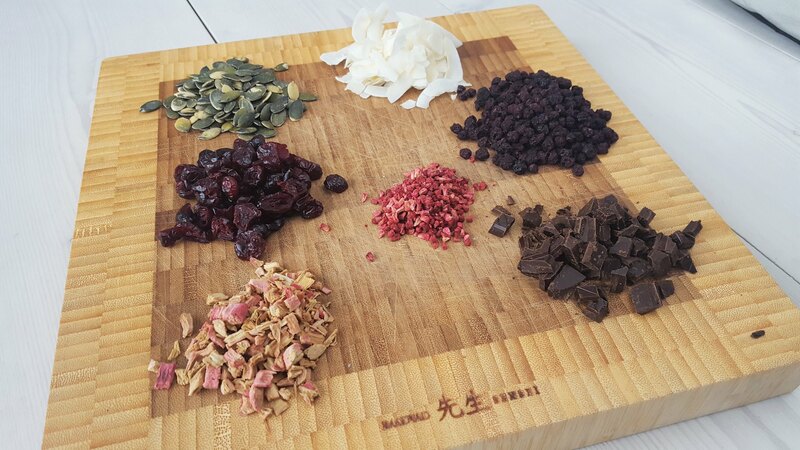 Next time I will reduce the dried fruit and add different seeds/nuts. Exactly what I like. I love it. Thank you!